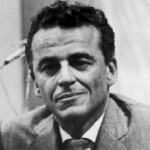 American screenwriter, librettist, and lyricist Alan Jay Lerner (b. 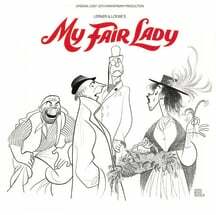 New York City, August 31, 1918; d. New York City, June 14, 1986) was the creator, along with Austrian composer Frederick Loewe, of some of the most durable and beloved works of the American musical theatre in the twentieth century. With a total of three Oscars® (one for the screenplay of An American in Paris in 1952, two for the lyrics and screenplay of Gigi in 1959) and four Tony Awards® (two for My Fair Lady in 1957, two for Gigi in 1974), as well as numerous nominations and other awards (including Golden Globes® for the book of The Little Prince and the song “If Ever I Would Leave You” from Camelot), Lerner shared his genius as liberally in Hollywood as on Broadway. 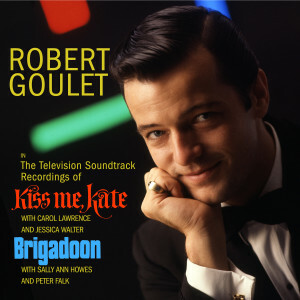 Although his greatest successes were achieved in collaboration with Loewe, he worked with a surprising number of other composers as well, Kurt Weill (Love Life 1948), Jerome Morross (The Adventures of Huckleberry Finn 1960), Burton Lane (Royal Wedding 1951, On a Clear Day You Can See Forever 1965), André Previn (Coco 1969), and Leonard Bernstein (1600 Pennsylvania Avenue 1976) among them. Lerner Stores, a substantial national retail chain founded by Alan Jay’s uncle Samuel A. Lerner, was the source of his family’s wealth. He was educated in England at the Bedales School, then in Connecticut at Choate, and at Harvard where he was a contemporary of Bernstein and John F. Kennedy. He got a musical education taking summer courses at Juilliard and, like many future stars, began his career in musical theatre participating in student “Hasty Pudding” productions at his college. 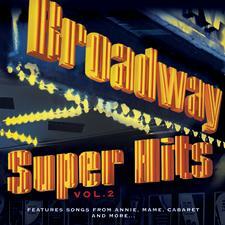 After graduation Lerner returned to New York City to write radio scripts (Your Hit Parade). In 1942 at The Lambs, a New York social club for professionals of the entertainment industry, Lerner encountered Austrian pianist and composer Frederick Loewe, who had been eking out a living playing in bars and silent movie houses since 1925. 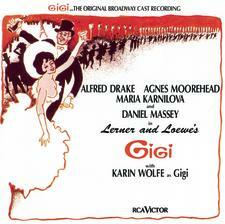 Loewe’s great ambition was to compose for Broadway, and he needed a story-writer and lyricist. The first project this historic team undertook was for a stock company in Detroit, a musical adaptation of twenties farce-writer Barry Conners’s The Patsy called Life of the Party. It ran for nine weeks and sparked another collaboration, What’s Up?, this time for Broadway (with director and choreographer George Balanchine!). 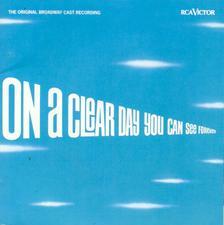 Its modest success – sixty-three performances – was followed by another, The Day Before Spring (“You Haven’t Changed At All”), which ran for nearly the entire 1945–46 season. From the very start, Lerner always wrote the “books” as well as the lyrics to Loewe’s songs. 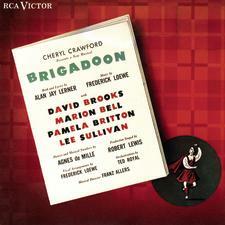 Lerner and Loewe’s first decisive hit was the romantic fantasy Brigadoon (1947), with its enduring classic, “Almost Like Being in Love,” and other memorable tunes, “Waiting for My Dearie” and “The Heather on the Hill.” A few years later, Paint Your Wagon (1951) was less successful at the box office, but made a powerful impression over the popular air waves with “They Call The Wind Maria,” “I Talk To The Trees,” and “Wand’rin’ Star.” That same year Lerner wrote the original screenplay to An American in Paris that would win him his first Academy Award®. 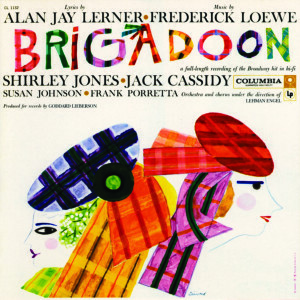 Lerner and Loewe had one more big Broadway hit in 1960 with Camelot (“If Ever I Would Leave You,” “The Lusty Month of May”), starring Julie Andrews, Richard Burton, and Robert Goulet. 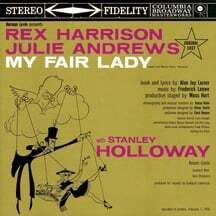 The screen version, with Vanessa Redgrave and Richard Harris, followed in 1967. But by that time, the partnership had broken up – possibly due to the stress on Loewe incurred by Lerner’s addictive and compulsive personality – and Loewe had retired to Palm Springs, California. Lerner had embarked upon a series of experimental collaborations (On a Clear Day, Coco), none of which proved to have legs. The pair did work together on an Award-winning augmentation of Gigi for Broadway in 1973, and once again in 1974 on a film version of Saint-Exupéry’s The Little Prince. This was not a commercial success in its own time, but it is currently available on CD and DVD and gaining in popularity. Lerner was the author of three books: The Street Where I Live (1978) is his personal account of the production of three hits, My Fair Lady, Gigi, and Camelot; The Musical Theatre: A Celebration (1986) gives his characteristically witty slant on the history of the American musical; and a book of his lyrics, A Hymn To Him, was published posthumously in 1987. He was inducted into the Songwriters Hall of Fame in 1971. According to Jacqueline Kennedy, interviewed only a fortnight after the assassination of her husband in 1963, this was the favorite song of John F. Kennedy. The phrase “one brief shining moment” has been used since, not only as a title by William Manchester for his 1983 memoir of Kennedy, but by all sorts of pop artists, hacks, and headline writers to conjure up the romance and idealism of those few years before the great tragedy. Alan Jay Lerner passed away from lung cancer in Manhattan, having just begun to work on lyrics for The Phantom of the Opera.